The stunning Lotus Evora 410 Sport IPS here at Hofmann’s is a 2016 “66 Plate” that has covered a mere 5,945 miles from new. Despite hardly been used this Evora boasts a full service history last carried out by JCT Lotus in August 2018 at 4,660 miles. Over and above the standard equipment this car has; Metallic Paint, Alcantara Interior, Yellow Interior Colour Pack, Cruise Control, Bluetooth, Rear Camera, Sub Woofer, Satellite Navigation, Apple Car Play and Yellow Brake Calipers. 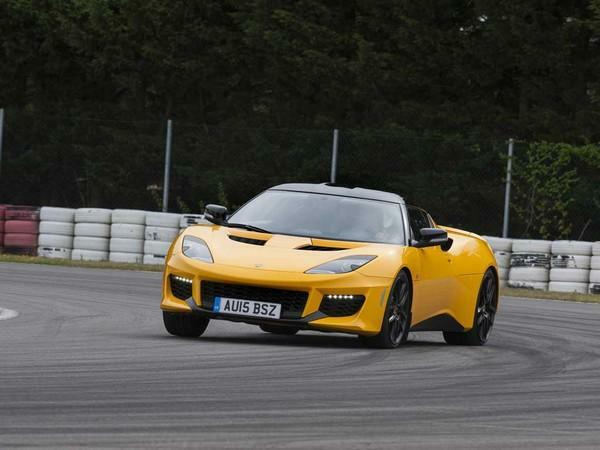 At the 2016 Geneva Motor Show, Lotus revealed the Evora Sport 410, a slightly enhanced version of the 400. Although design remained very similar the car is up 10 hp, torque is increased to 420nm and the weight has fallen drastically and is now only 1,325kg, down from 1,395kg. This is down to the additional carbon fibre and forged wheels. With the reduced weight it allowed Lotus to recalibrate the suspension, with improved geometry and completely revised damping, as well as a ride height drop of 5mm over the Evora 400. As a result handling is sharper, along with better body and roll control, yet ride comfort and composure is retained. As with all our cars here at Hofmann’s the car has undergone a comprehensive pre sales inspection by one of our Lotus experienced technicians.